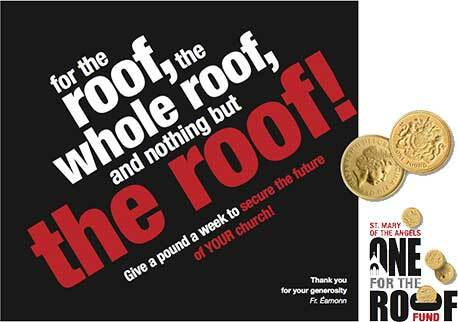 Help us raise the roof!! 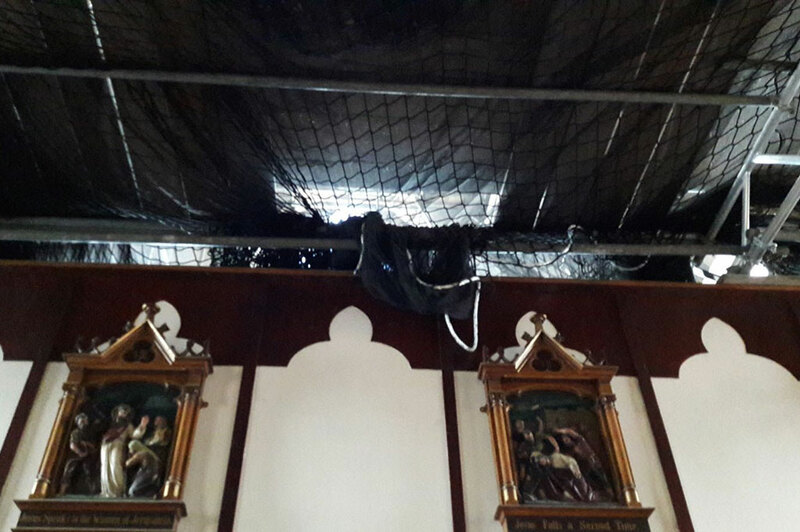 Sadly, at the moment our roof is in a very sorry state of repair with water coming through and part of the ceiling falling into the church. This has been an ongoing situation for a number of years which has now come to a head. 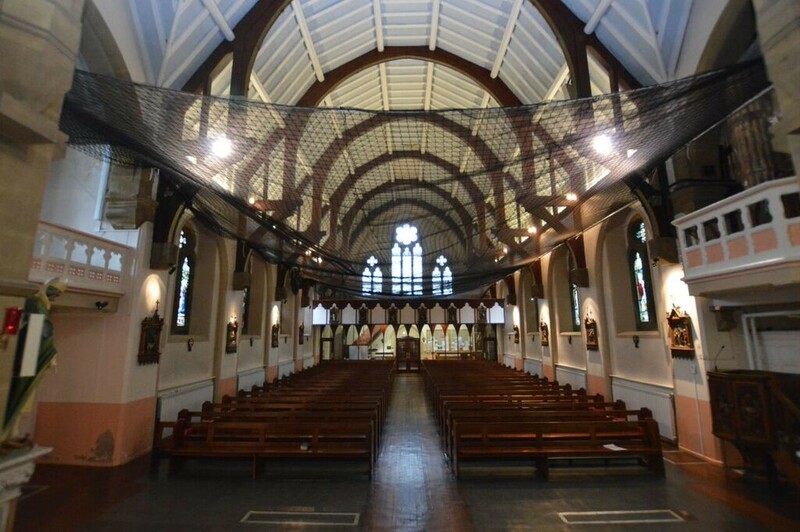 We currently have a net all across the church for people’s safety. 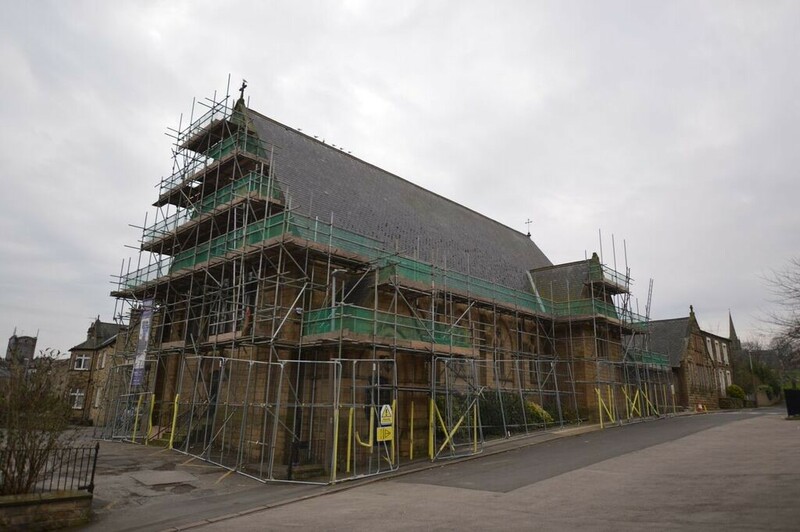 On 15th February work began on a new church roof and then hopefully once the internal walls dry out we can then start to repair the inside of our beautiful church. 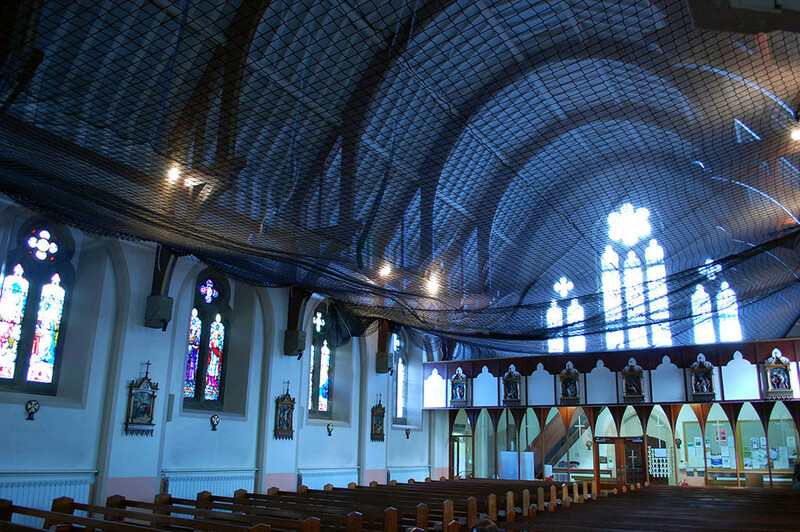 As you can imagine this is a very expensive project and we as a parish are currently trying to raise the funds for it. Lots of ideas, help and support have come forward from our parishioners as a start to raise the required funds. As you know on Wednesday I had a meeting with both Bishop Marcus and Mr Kevin Anderson the Director of Property for the Diocese of Leeds. This was a meeting I arranged to show the Bishop the extent of the work that needs doing here and with Kevin Anderson’s professional advice, to see how we progress to the next stage in our restoration project. The Bishop was sympathetic to our wanting to push ahead with our restoration plans and took time to see exactly what needs doing and offered suggestions on a way forward. He was also very impressed when I told him how much we as a parish have now raised in about 9 months to finance the on-going work needed here. To date we have raised about £43,000 which is an amazing amount. Thank you to the Hall Committee for the match funding of £20,000. 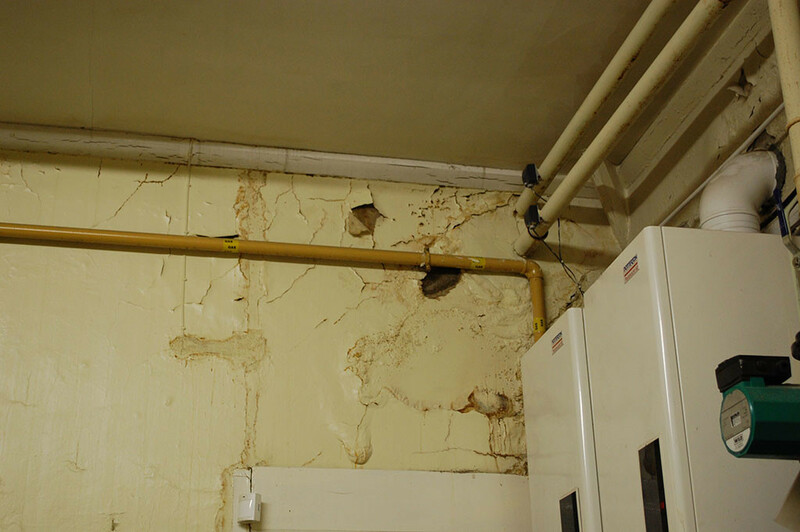 The Diocese and I also won grants to fix the roof totalling £75,000. 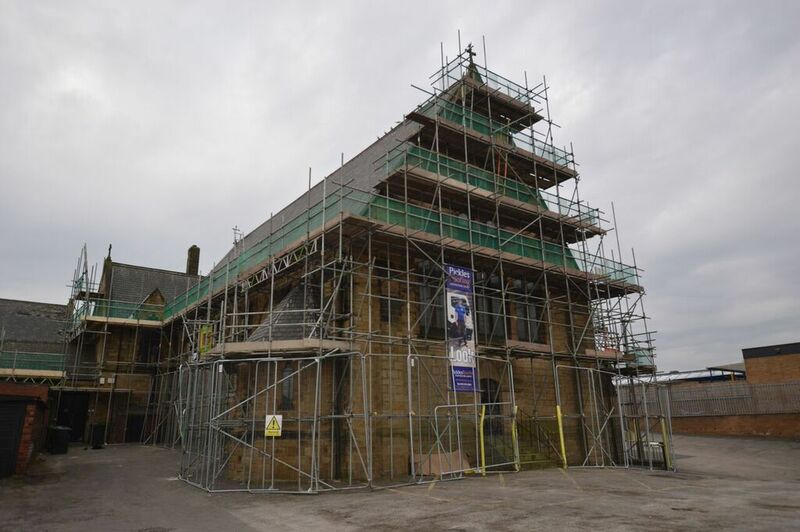 Including all professional fees and the roof itself, the final cost was around £81,000. 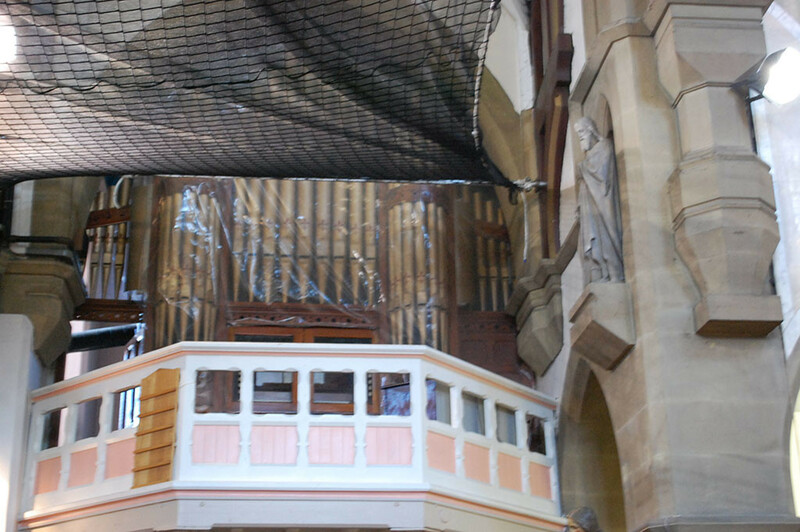 The grants of the £75,000 went towards the roof restoration and the parish added a further £6000 to complete the payment. 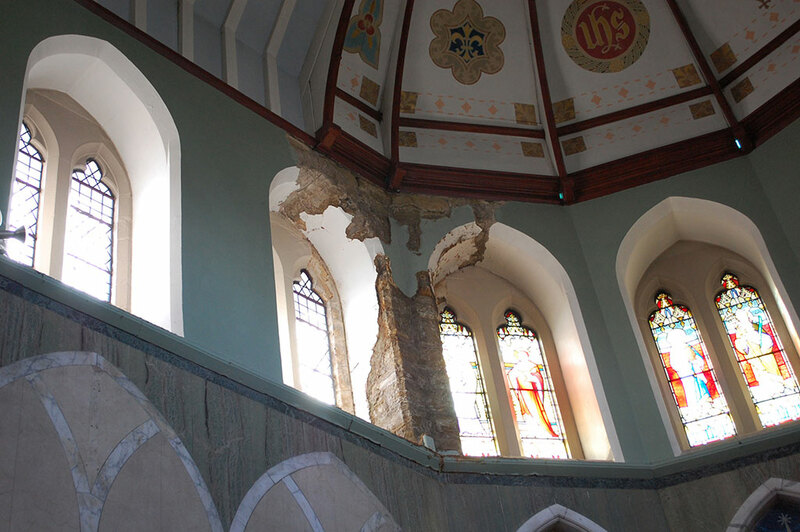 Happily we still have most of the money we have raised (so far) left to proceed to the next stage of our project, which is fixing the ceiling and the plaster around the sanctuary. As you can imagine this is going to be another major project and expensive. Initial costs are estimated at around £40,000. Thanks to your amazing efforts at raising the money, we are in a position to proceed with this next step. 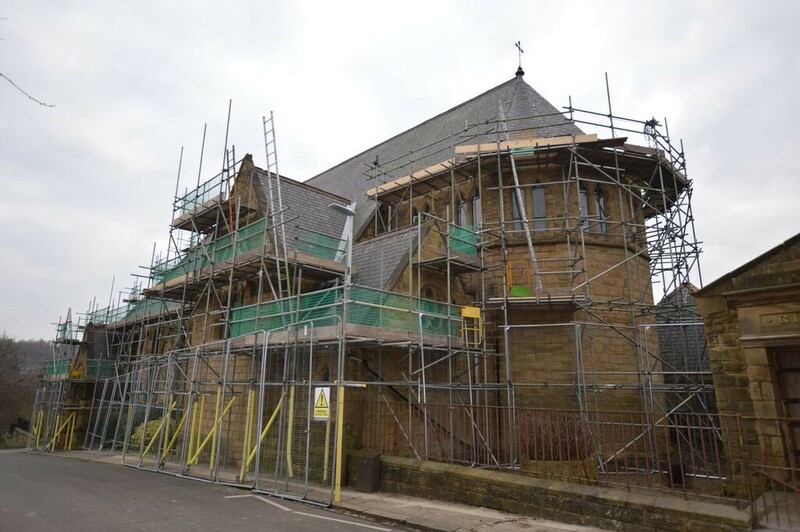 With St Mary’s Church being a Grade II Listed building, we have to have the relevant authorisation to proceed with this work. The Diocese have now instructed the architect to inform the Historic Churches Committee of our plans. This Committee is meeting in November and our project will be discussed. At this meeting which is basically a statutory planning committee, we will be given the all clear to progress to stage 2 of the restoration (ceilings and sanctuary). With this in mind, it has now been suggested and I have agreed, that we begin work on the inside of our church after Easter next year (April 2017). This gives us the chance to get the official approval needed and continue our efforts to raise the money for the work. I hope this meets with your approval. I am sorry it cannot be quicker, but these things do take a lot of time and effort in the background. But at least we now have a date to move forward. At the meeting with the Bishop and Kevin Anderson, we also discussed the other major matter of the Old School and Convent. The Diocese has tried on two occasions to have these old buildings demolished with a view to selling the land. However on both occasions the Council have refused our application. We are now trying for the third time to get planning permission to demolish the site and hopefully be in a position to sell. We have approached the Council and asked them, what we need to do in order to have a chance of getting planning permission. At the very least, the council want to know, is there any interest in the site being sold as it is? So as of September, the site of the old school and convent will go on the market for six months to see what, if any, interest there is in buying it. We will have to see what happens in the next six months and act accordingly. However, if no reasonable offer comes forward, then we will be in a position to go back to the council and apply again for planning permission to demolish the site. If we get this permission, the site is more valuable, as it’s potential for use is much greater with planning permission included. The site could be worth at a rough estimate, around £400,000. This would obviously be a great boost to the parish. At the meeting I also explained to the Bishop how on a Sunday the Children’s Liturgy actually takes place in the Presbytery. Whilst the children and catechists are very welcome, this is not an ideal situation for safeguarding reasons. I explained to the Bishop that at the moment there is nowhere else for the children to go. While understanding our predicament, he would prefer that we try and find a more appropriate solution. 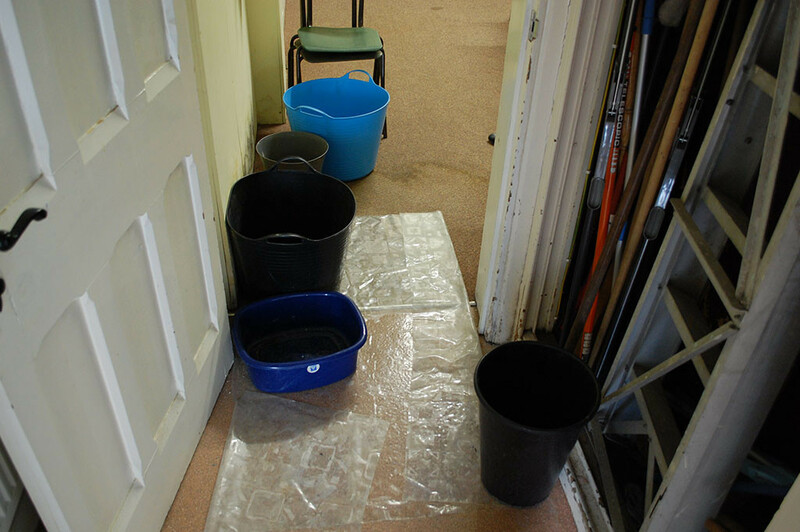 Eventually, the back sacristy will be fully restored, but in the meantime, as a temporary measure, I have been instructed to make it useable again for the children’s liturgy. 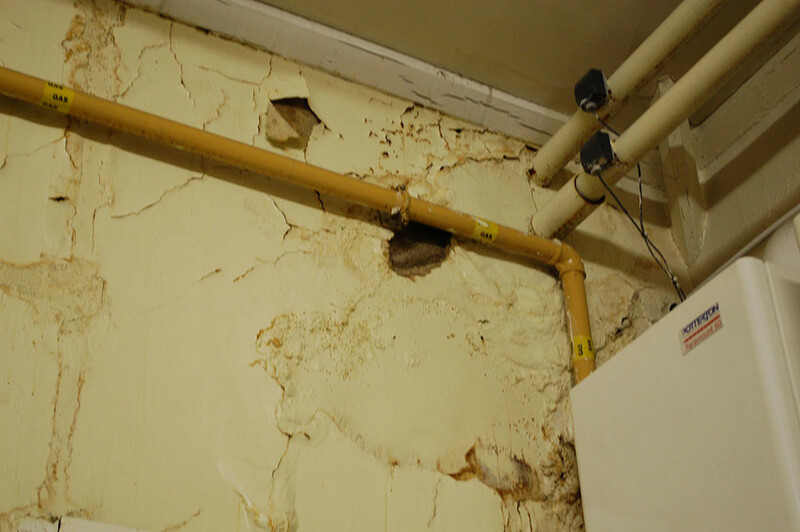 I have instructed a builder to come in and take the plaster from the walls and get ventilation in the room. Once the plaster is off, then we can paint the walls and put down a carpet to make it useable. Once ready, then the children’s liturgy will take place in the back sacristy, thus complying with safeguarding recommendations. 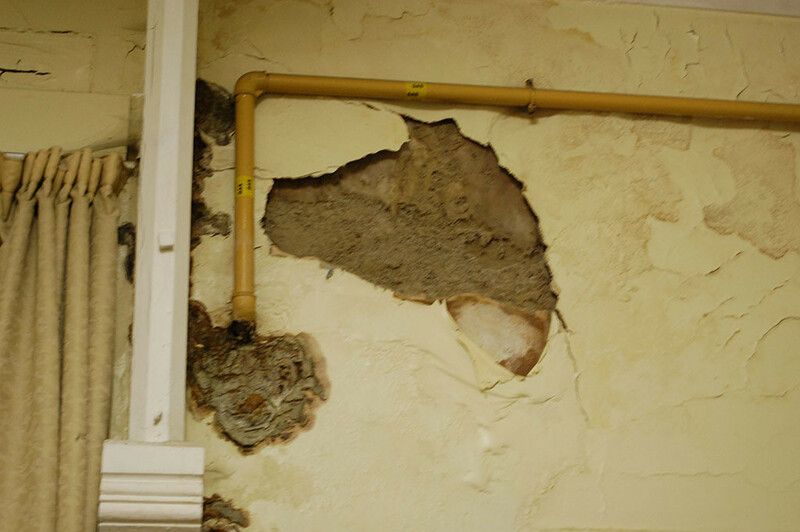 I reiterate that this is only a temporary measure and a more permanent restoration will take place in due course. It is obviously a matter of money. Since I arrived in St Mary’s I have felt it is not right in this day and age, that the church toilets are actually outside. The Bishop saw what toilet facilities we have here and understood my wish to see internal toilets at St Mary’s Church. This is something that was agreed, but will have to take place down the line, once we know how we stand financially. The lighting in St Mary’s is not adequate, resulting in our church often being dark. 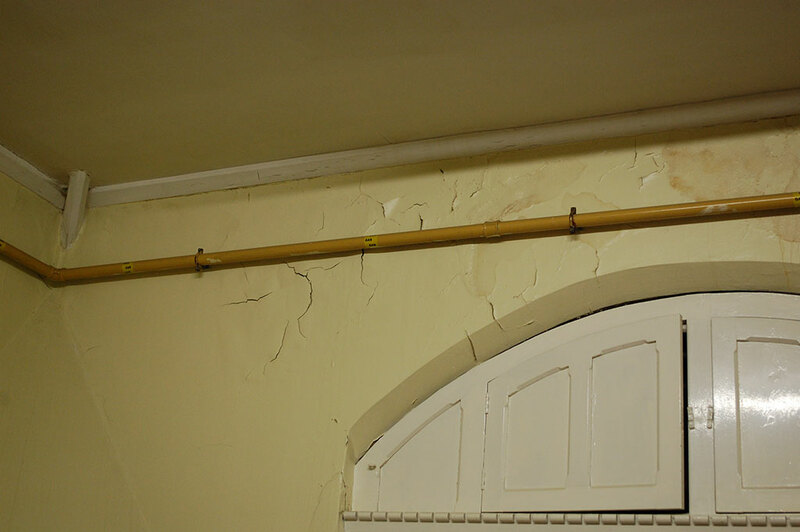 The light fittings are old and need replacing and realigning. This is something that will be considered in due course. The new boards on the ceiling and the new plaster around the sanctuary will be painted so it looks right. However, in time the church will need decorating. This is something that will be considered. Again, these things take time and money, but will be looked at in due course. 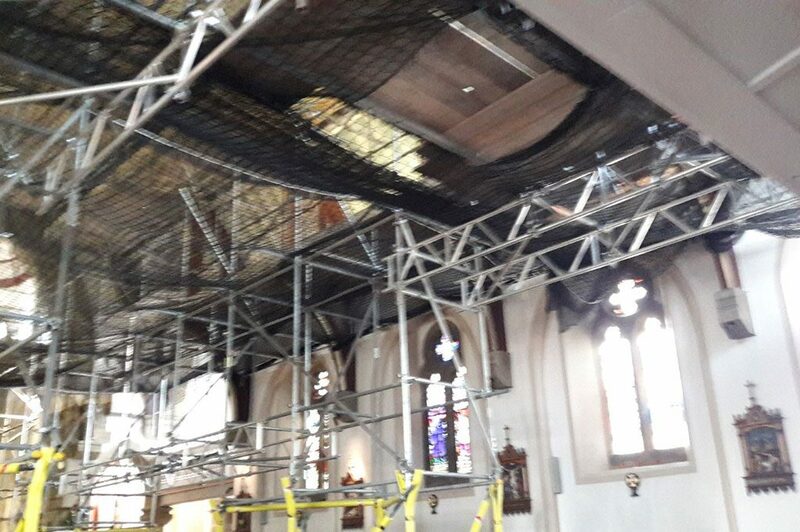 However, the Diocese have asked the architect to prepare a decoration scheme for the whole church as the Historic Churches Committee will want to see the decoration of the ceiling and sanctuary in the context of the decoration of the whole Church. As you can see it was a long meeting on Wednesday – two hours with the Bishop and five hours with Kevin Anderson. I am very grateful for their time and understanding. There is a lot of work which needs doing, some immediately, and some which can wait. 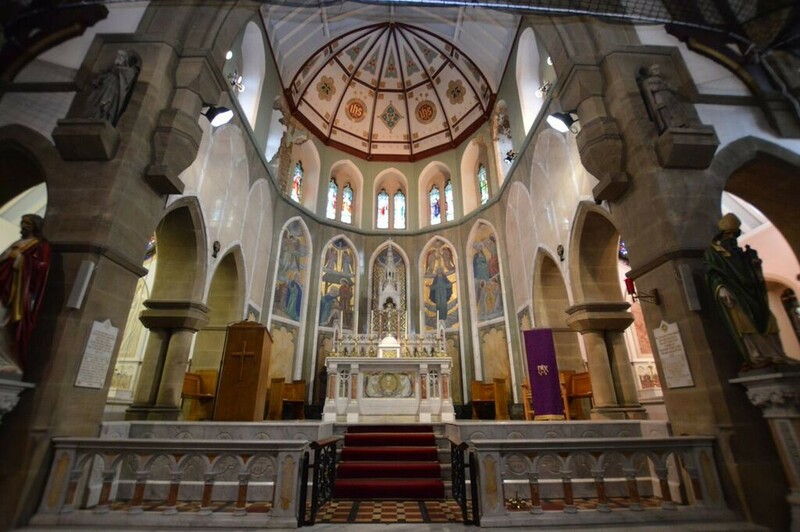 In the meantime please pray for the work we are trying to do, it is for the sake of the future of our parish. I know how proud you are of St Mary’s and I will try and do all I can to restore St Mary’s to what is could and should be. The sale of the school/convent site is crucial for us along with our ongoing fund-raising efforts. I apologise that this is such a long update. I will be able to explain further if needed at the next fund raising meeting which takes place this Tuesday (9th August) at 7.00pm in the Hall. 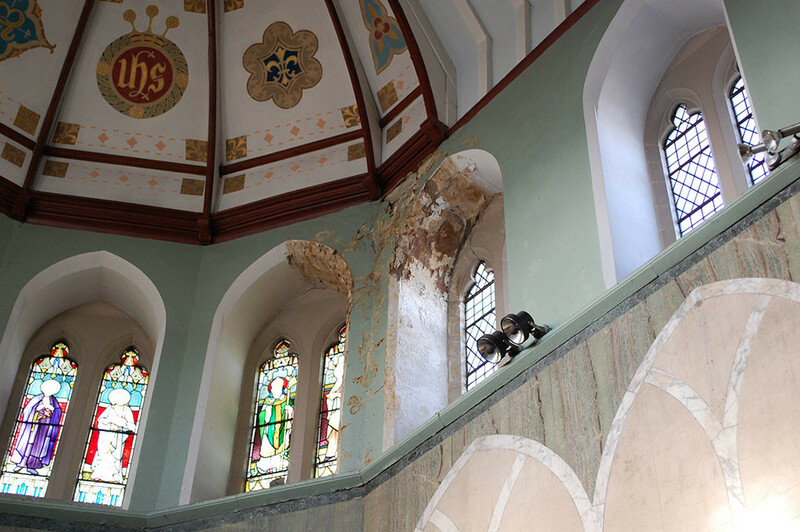 Please come along and join us in our efforts to restore our beautiful church. ALL WELCOME. If you would like to help us in our endeavours your help would be much appreciated. We will be very grateful for any help you can offer. 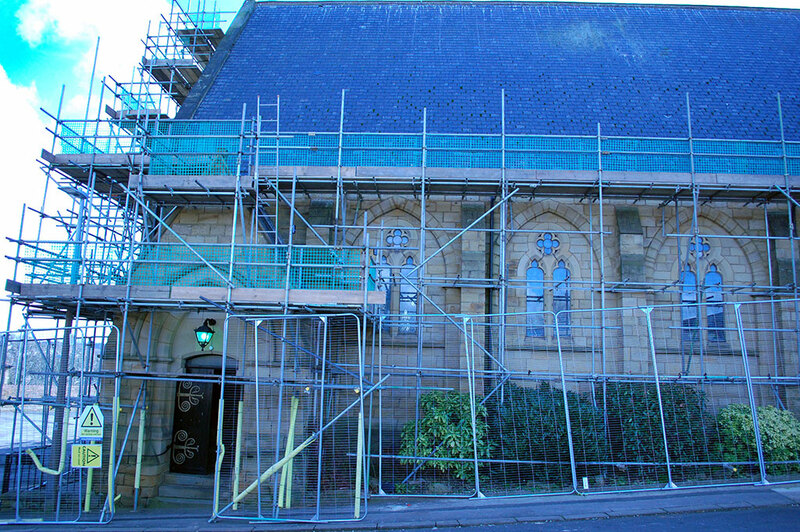 St. Mary of the Angels Church, Batley. We also have a PayPal facility available for your donations if you wish to do so. Thank you for any help you can offer us. If you are parishioner would you like to join our fundraising committee? The minutes of all our fundraising meetings are available here.